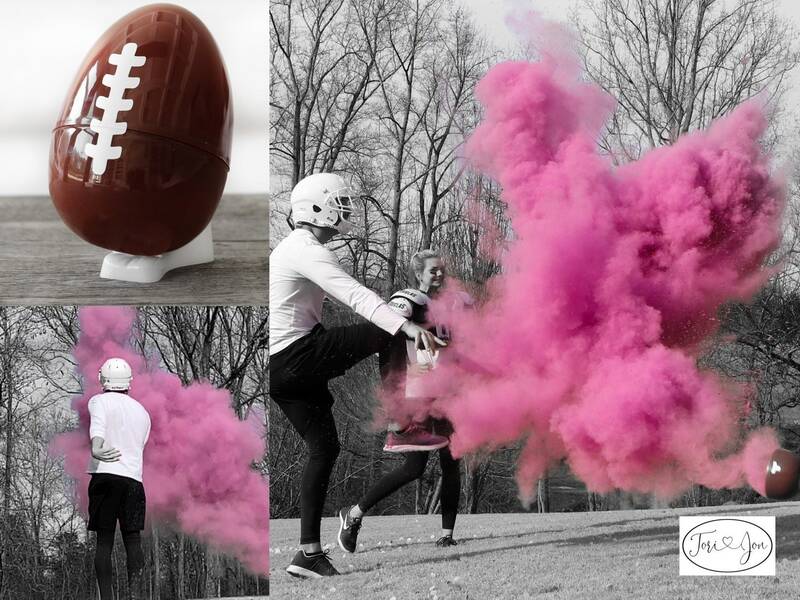 After inventing the gender reveal baseball and golf ball Jon and I set our sights on inventing the first gender reveal football. 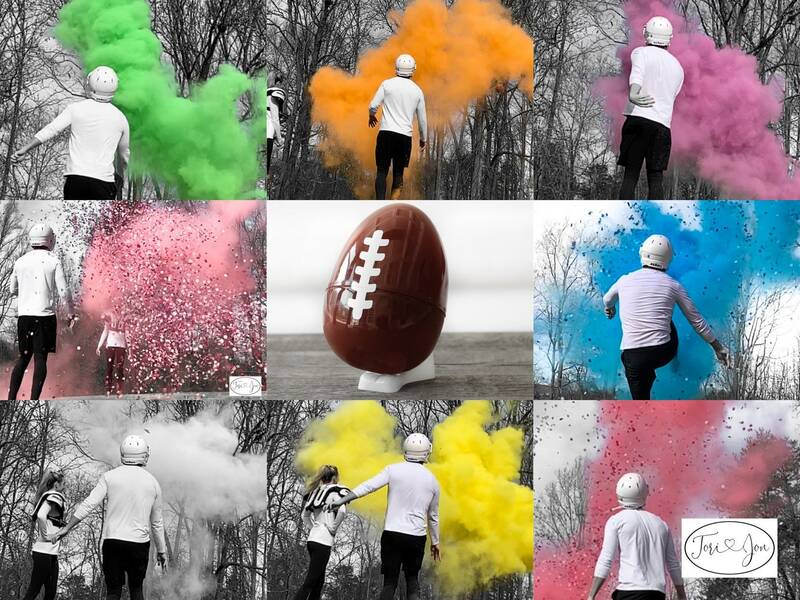 Now after 4 versions we are releasing an exclusive 10 inch design with both Powder and Confetti. 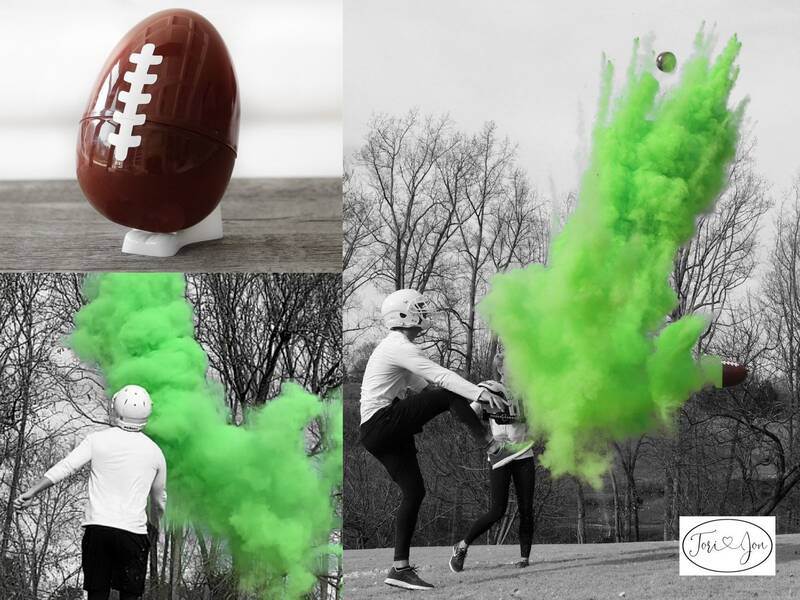 Since we use the most powder and confetti we have had to develop a special elastic plastic to hold the ball together in order to have the perfect arrival. 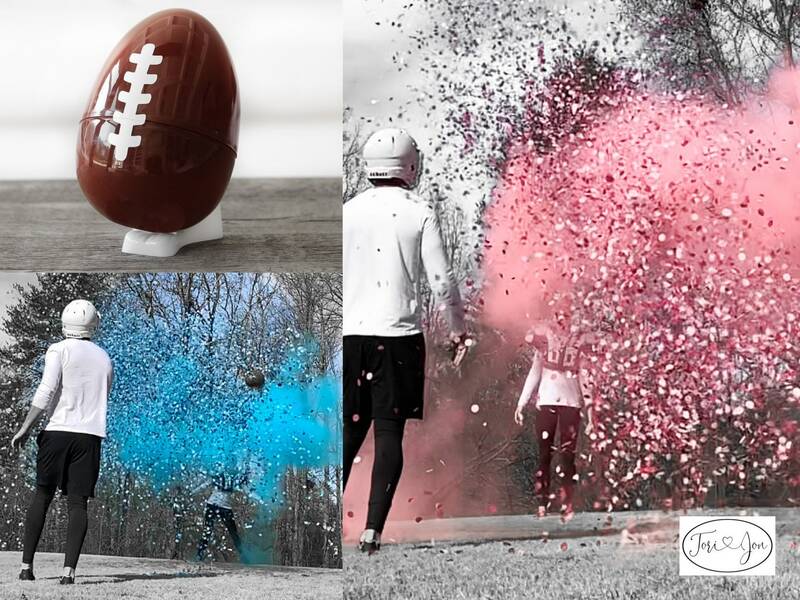 We have done this to equip you with the best product for your gender reveal whether you throw it, punt it, or kick it! It's Football Season!!! Perfect Reveal for a True Fan! ⚤ The Most Powder and Over 10,000 Confetti Pieces! Just look at our thousands of customer photos on social media! 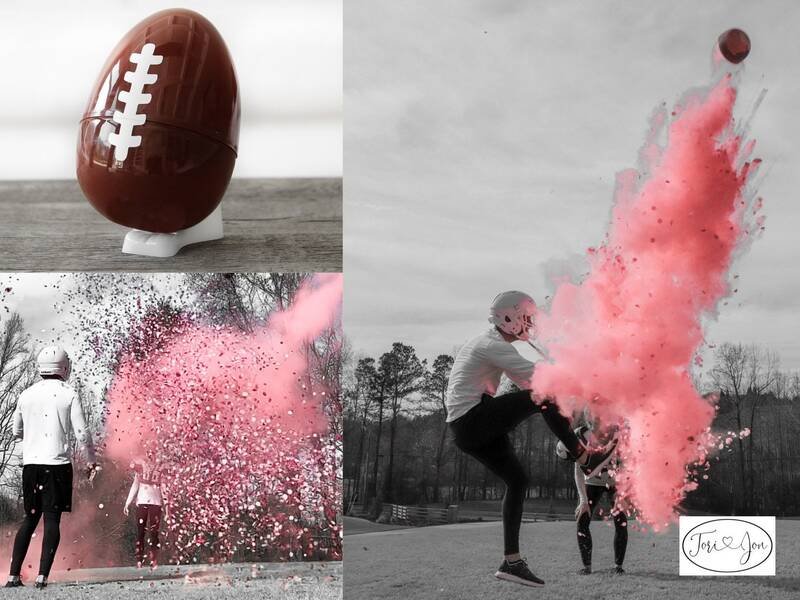 ⚤ All Pink and Blue combo options come with the football and bag of each color powder separate for you to fill. Directions emailed when purchased. 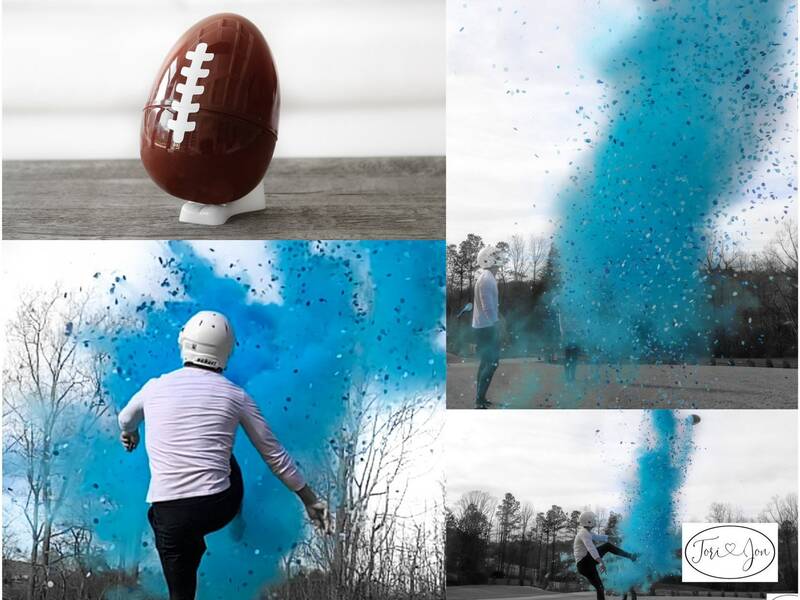 Be The Superstar of Your Gender Reveal! Please have your Dr, Nurse or friend email jon [!at] poofthereitis.com along with your order number, name of person being shipped to, and the results! You will receive a shipped notification but don’t worry! We will print your order off and hold it to the side until we receive the secret results! We will then package your order as soon as possible with no color indicators and have it on its way to you! Please make a note to seller telling us when to expect the information! Only available in pink or blue. 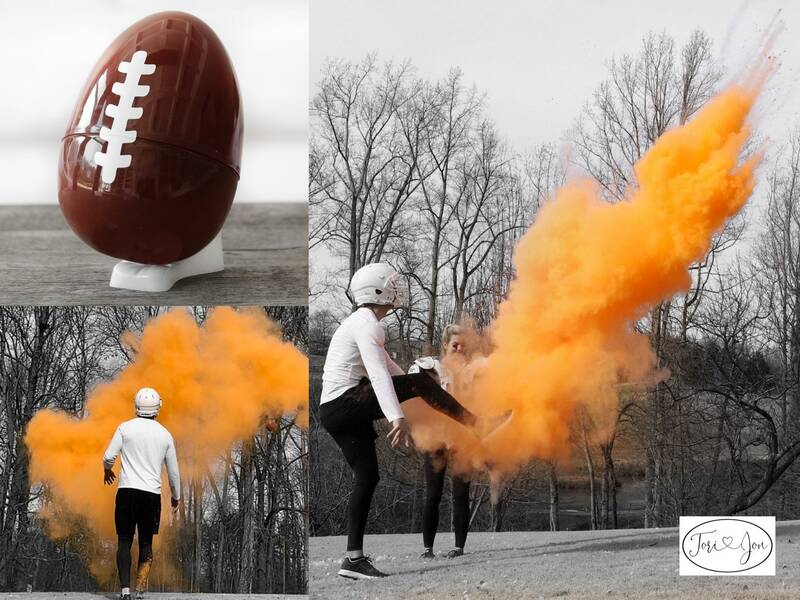 Are filled with white powder to practice the kick before the actual reveal to ensure your reveal is amazing. The shell is sturdy but easily opened when struck along the seam. 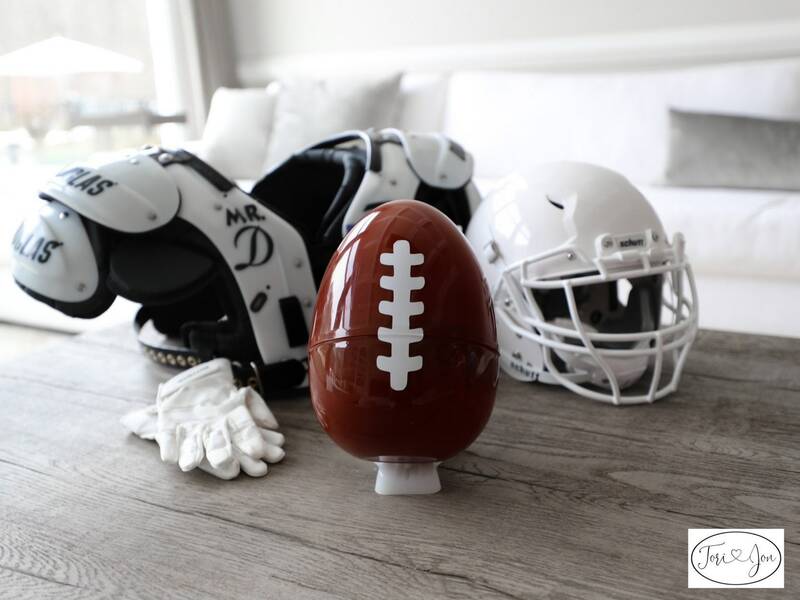 It is ideal to hold the football sideways when punting the ball and kicking the ball along the connecting crease in the middle of the ball to ensure the biggest reveal. 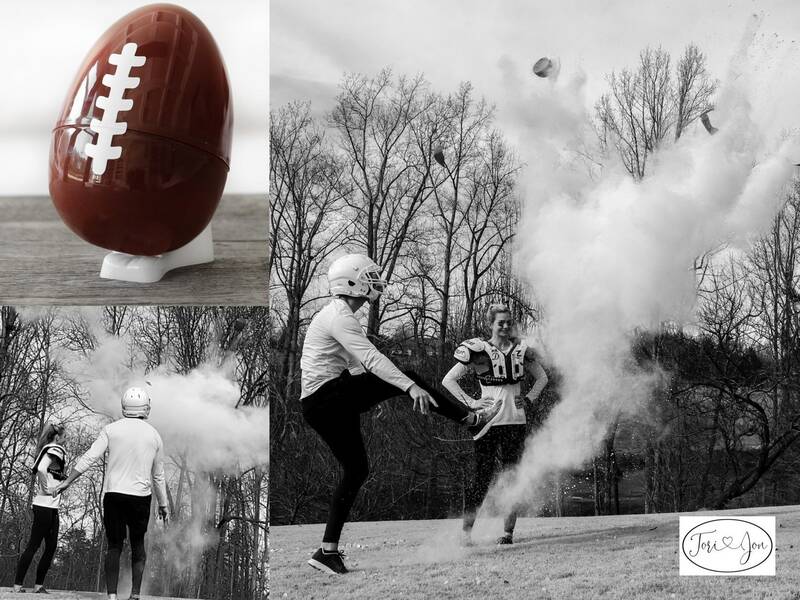 We like to shake the ball before the kick to ensure that the powder is not compacted in the ball from sitting for long periods of time. 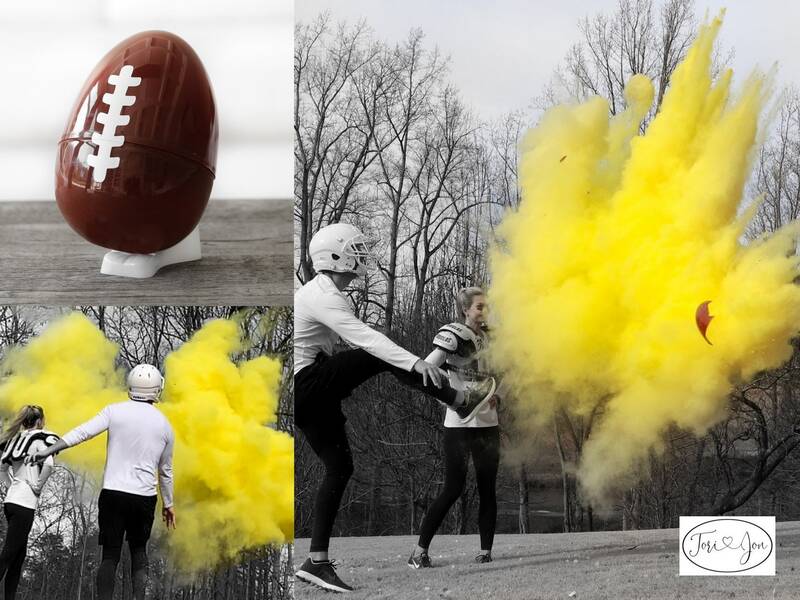 Each football is hand made and will have it's own genuine features. The powder was awesome!!! Great reveal!